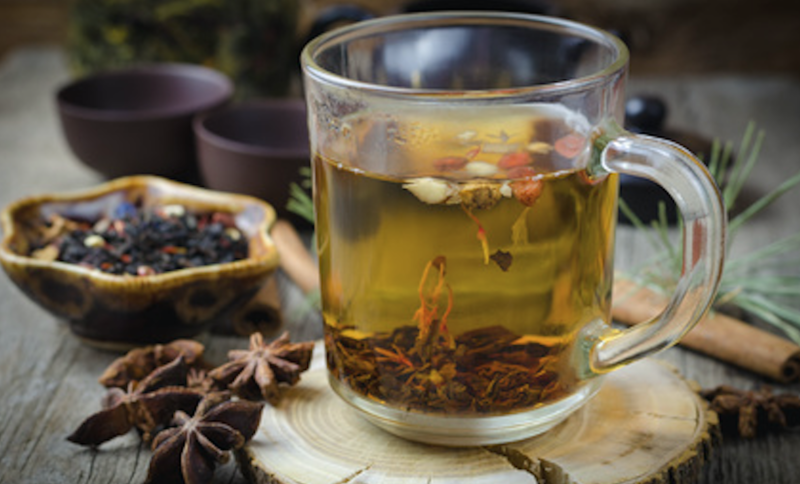 While a cup of tea is a pleasure on its own, it also can be weaved into edible adventures and enhance a variety of sweet and savory flavors. Whether you’re brewing a pure tea or a blend with exotic herbs and spices, the range of flavors in a steep can pair well with chocolate treats. Cal Orey, author of The Healing Powers of Chocolate, shares her thoughts on cacao confections and her favorite pairings in the delicious Q&A below. 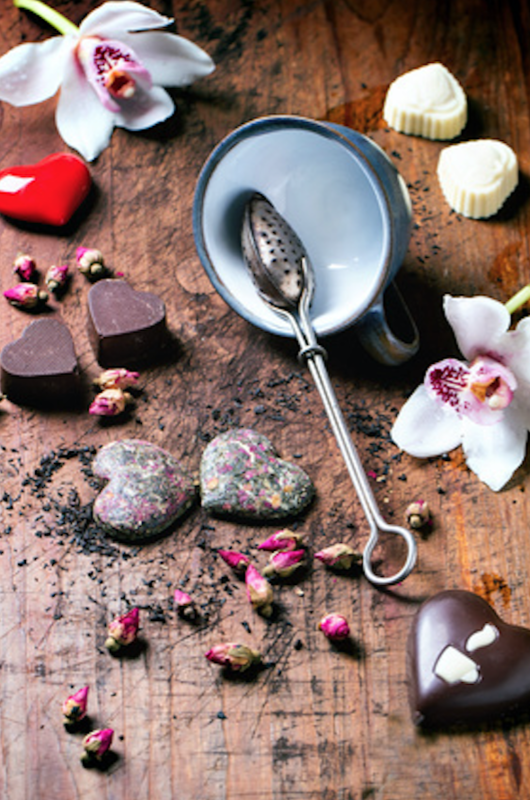 She even treated us to exclusive excerpt from her book featuring a recipe for a green tea infused chocolate rocky road tea bark (just in time for Valentine’s day). Although if you prefer to begin with pairings, seek out herbal infusions or teas that are blended with cinnamon, ginger, licorice, mint and vanilla for the ultimate chocolate and tea experience. Q: What inspired your interest in chocolate? A: I have penned the Healing Powers series–books on amazing superfoods. Since chocolate has a reputation of being a “forbidden” food, I felt it was time to lose the guilt. I thought, “It would be intriguing to write about a decadent food that is actually good for you.” It was the right time to write about the right kind of chocolate—in moderation—and prove its powers as a healthy and versatile functional food. Q: What gives chocolate some health benefits? A: A 1.5 ounce bar of quality chocolate has as much antioxidant power as a 5 ounce glass of wine—without the side effects of alcohol. Chocolate is chock-full of mood-enhancing ingredients, including phenylethylamine (the “love drug”) and serotonin—a feel good compound. Q: Why do you think chocolate and tea are a perfect match? A: Both superfoods have amazing powers to help nourish the body, mind, and spirit. Pairing this mighty duo is like apple pie and vanilla ice cream or salt and pepper. Chocolate and tea are Mother’s Nature’s finest work and deserves kudos. Q: Do you have a favorite chocolate and tea pairing? A: This is a Sophie’s Choice question. If I have to make a decision today in the middle of winter with snow covered ground in the mountains, I’d choose a dark almond chocolate muffin with a cup of White Peony Tea. Q: How is your new, forthcoming book The Healing Powers of Tea different than other tea books? A: I focus on teas that other authors have not. Also, I pair herbal teas with classic teas and new tea trends to give it an edge. Not to forget the health spin of the superfood is woven throughout the book full of original stories, including my own travels on the road while tea is my constant companion. Melt dark chocolate chips in microwave for about two or three minutes, stir occasionally until melted. Stir the dark chocolate and spread it onto a nonstick cookie sheet (or line with parchment paper). Spread and shape into a rectangle. Chill in freezer for about 10 minutes. Meanwhile, nuke milk chocolate chips. Once the chocolate is melted, stir in marshmallows and nuts. (Save half of the nuts for the top.) Take out dark chocolate from freezer and frost with rocky road mixture. Sprinkle with nuts and tea on top. Put back into freezer for 10 minutes. 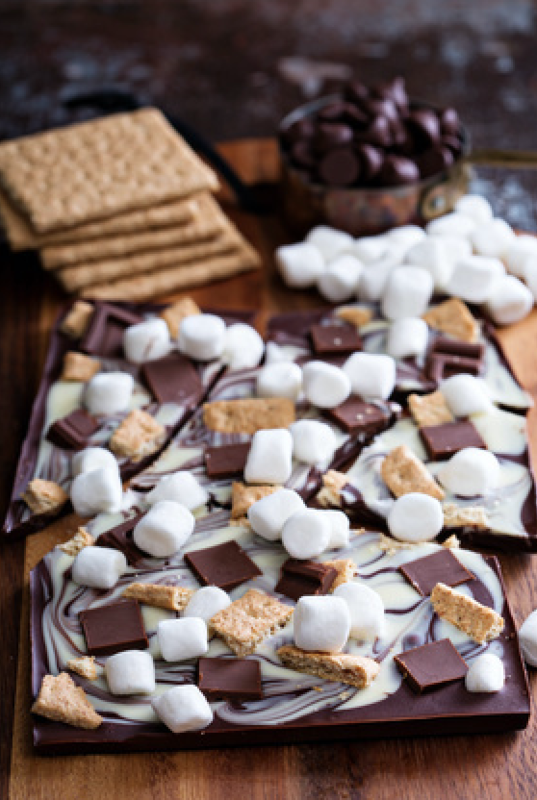 Take out and pick up the entire chocolate candy slab, place on a plate. If you use parchment paper, take off. Break into peanut brittle-like square pieces. Place in airtight sealed containers and keep in refrigerator. From The Healing Powers of Chocolate and The Healing Powers of Olive Oil, Revised and Updated by Cal Orey. Copyright © 2010 and 2015. All rights reserved. Get your Daily Dose of Steeped Stories, Tips & Exclusive Offers. Click here for your Free Subscription! Everyone here at The Daily Tea thought this was an interesting story. And Oscar approved!